Resources for health care will always be scarce and choices have to be made within palliative care as well as between palliative care and other services. Good choices are based on good evidence on value for money. In principle, we can compare the benefits of all health care interventions using the quality-adjusted life year (QALY) measure. However, there are multiple reasons to question the fitness for purpose of QALY analyses in evaluating palliative and end-of-life care. Tools are needed that measure and value services against the objectives of care, that take account of the wider group of beneficiaries and that value good processes as well as outcomes. Measuring costs and cost-effects in this field faces additional obstacles. 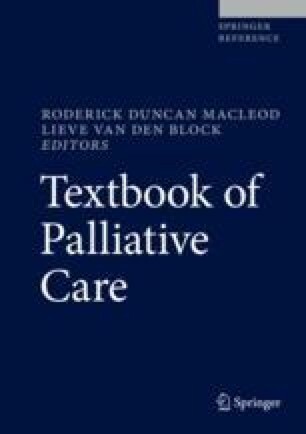 Studies estimating the effect of palliative care on costs have identified substantive variation by intervention timing and comorbidity count. A critical challenge is posed by the complexity and heterogeneity of the interventions and populations under assessment.